Experience the very best in personal guest service and warm hospitality at this Kansas City hotel. 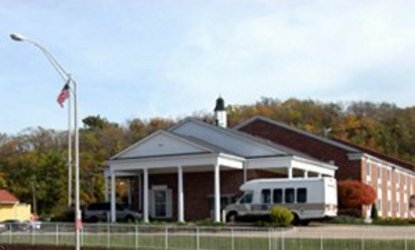 The Best Western Inn & Conference Center is conveniently located in the greater Kansas City area with easy access to Kansas University Medical Center. Hotel guests will appreciate the variety of nearby dining and shopping options including Applebee's Neighborhood Grill and Taqueria Mexican Restaurant conveniently adjoining the hotel property. Guests will also find the American Royal Arenas, Weston Crown Center and Country Club Plaza close by. Hotel amenities include a heated outdoor pool, indoor whirlpool spa and complimentary breakfast. Each well-appointed room features free high-speed Internet access, cable satellite television, microwave and refrigerator. Best Western Business Plus rooms available upon request. Meeting space facilities accommodating up to 225 guests are available for a special event or occasion. Experience great hospitality and great amenities at this Kansas City hotel Make a reservation today and save.